That's right. 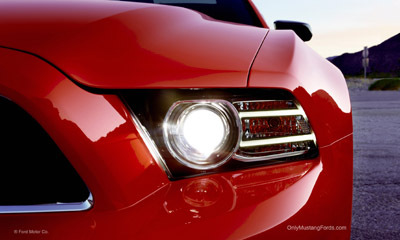 A 2013 Mustang in the Philippines marks the fourth and possibly most important addition to Ford's new strong presence in the Philippine market. 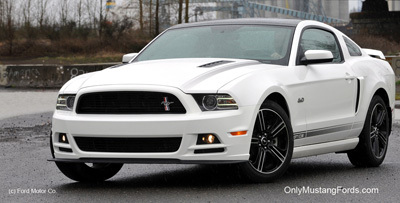 And unlike it's debut in Taiwan, the pony car will include the incredible 420 horsepower 5.0 liter Coyote V8 engine. develop a more premium look to the vehicles. Also new, are smoked tail light bezels, and a black trim panel between them reminiscent of the Boss 302 and Boss 351 cars from the 1970's. Also standard now, are HID headlights in front and LED strips integrated into the rear tail lights. 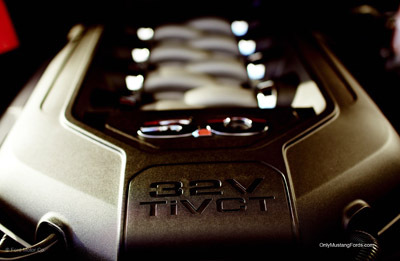 As mentioned earlier, the smooth and high revving 5.0 liter Coyote V8 is available on the Mustang GT, while a nice blend of performance and mpg is available with the also new, 3.7 liter V6 engine, pumping out a solid 300 plus horsepower and fuel economy at the top of it's class. One of the nicer innovations, on the new Mustang is Ford's Six speed SelectShift Automatic transmission, which favors driver control at will rather than an override that leaves the driver out of the equation in a bid to maximize fuel economy. That also means,if you decide to take your automatic transmission car out on the track for the weekend, you have the choice of having complete manual control, similar to what we've seen on high end, high performance marques such as Mercedes and Porsche. One of the most interesting new features on Ford's new car, is the Sport Steering mode option, which allows more road feel and higher steering effort, for more precise control in spirited driving, while the standard mode allows a nice boulevard cruise feel, with minimal intrusion to the owner. 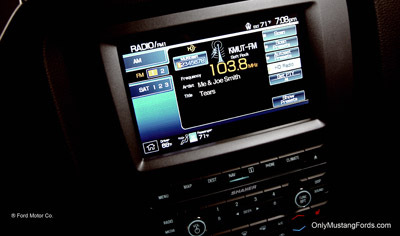 Ford SYNC® is now available on both the V6 and V8 powered 'Stangs, allowing hands-free, voice activated capabilities, and the ability of the driver to enable anything from their phone or media player be connected wirelessly via Bluetooth. 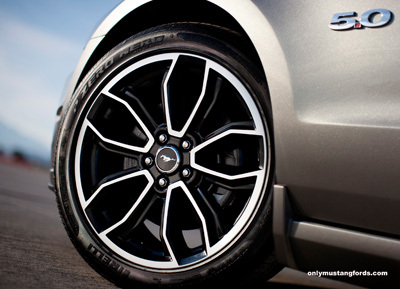 The 2013 Mustang in the Philippines will come with an array of optional equipment already available stateside, including a selection of aluminum and stainless wheels, ranging from 17 inches up to some slick 19 inch aluminum wheels for the GT Premium package. Other available options include the availability of the high performance Brembo brake package, which supplies huge 14 inch vented front rotors, unique wheels (to fit the big brake package) and high speed rated summer performance tires. The new Ford Mustang v6 and GT are now available and pricing is reported to range from PhP 2,499,000 for the V6 Premium cars and a cool PhP 2,899,000 for the Mustang GT Fords.